Love and relationships - it’s a classic question to pose to your tarot cards. After all, our relationships form a core part of our human experience. They help create who we are, and shape how we perceive and interact with the world. A relationship or love tarot reading can help you clarify, discover or renew your perspective on how you relate with loved ones. It can reveal the hidden patterns in our relationships, the unconscious reasons why we love the way that we do - or why we love who we do. We created a list of cards to look out for - ones that give particularly powerful messages when it comes to love. Rest assured, if even a few of these cards come up during a tarot reading about love, you're sure to find some happy answers. Naturally, one of the most favorable love tarot cards to draw in a reading is the Lovers. 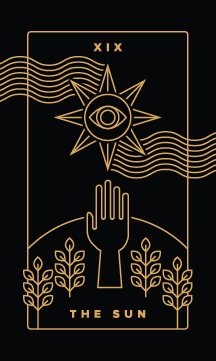 This tarot card has a strong connection to love and relationships. It represents a strong connection between two people where there is tender affection and admiration. But on a subtler level, it can also indicate choices - and making the right choice when it comes to love. 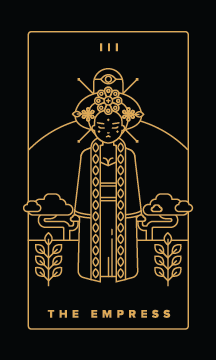 A symbol of mother earth, the Empress card can symbolize unconditional love as well as sensuality and pleasure. Because of her association with nature and the harvest, this tarot card can also indicate pregnancy, fertility, and the birth of a child. 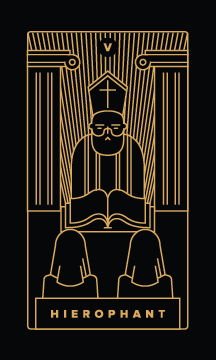 The Hierophant may on the surface seem like the least steamiest card in the deck, but because of its strong connections to tradition and organized religion, it can also indicate marriage. 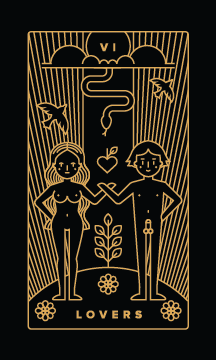 In love, this tarot card can mean a deep commitment between two individuals. Don’t be afraid of he Devil’s more playful side. As a love tarot card, it can bring a deep, sensual and primal energy into the reading. 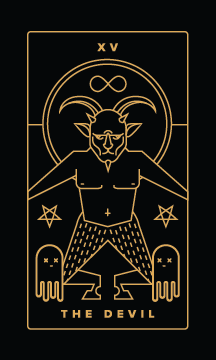 The Devil card rules over pleasure and sexuality - and sometimes a kind of attraction that can lead to obsession. If balanced, this card adds another layer of passion and desire to a budding relationship. Traditionally, the Sun represents success, joy and happiness - as well as harmony between conscious and unconscious. In love, this is no different. 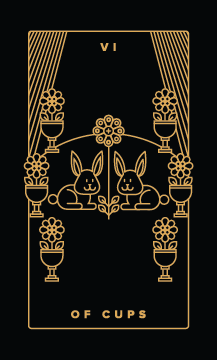 This card can mean happiness in love, and can even mean marriage or prosperity. 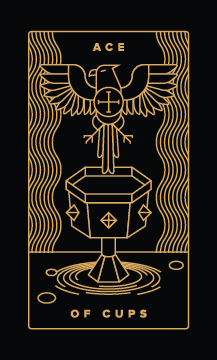 The ace of cups brings fresh energy in regards to the world of emotions. It can mean that a new love is coming into your life, whether in the form of another person, or a renewal of a bond in your current relationship. It is the love tarot card of potential - so other cards will be needed to turn attraction into action. Only second to the Lovers card, the two of cups is another incredibly strong love tarot card. 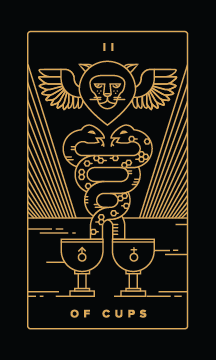 To realize the potential within the ace of cups, we turn to the two of cups. There is a strong chemistry between these two individuals, and over time and with effort this can develop into a strong partnership. If you’re thinking about an ex, the six of cups can mean a reconciliation may be successful. This is the card nostalgia and reminiscing. You may find comfort and peace when thinking about the past. So long as you are careful to not get stuck within it, this card can mean a happy connection. 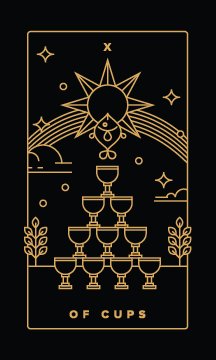 Another one of the most fortunate love tarot cards in the deck, the ten of cups is a card of emotional fulfillment and lasting happiness. There is a strong foundation for the relationship - and it can indicate a successful marriage, birth or general delight in love together. Much like the ten of cups, the ten of pentacles is closely related to family and close family ties. This card can mean that the relationship is established and stable. 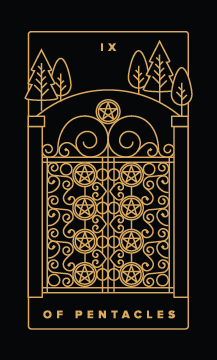 As a love tarot card, the ten of pentacles can mean taking the next step - whether living together or marriage, or creating a family.